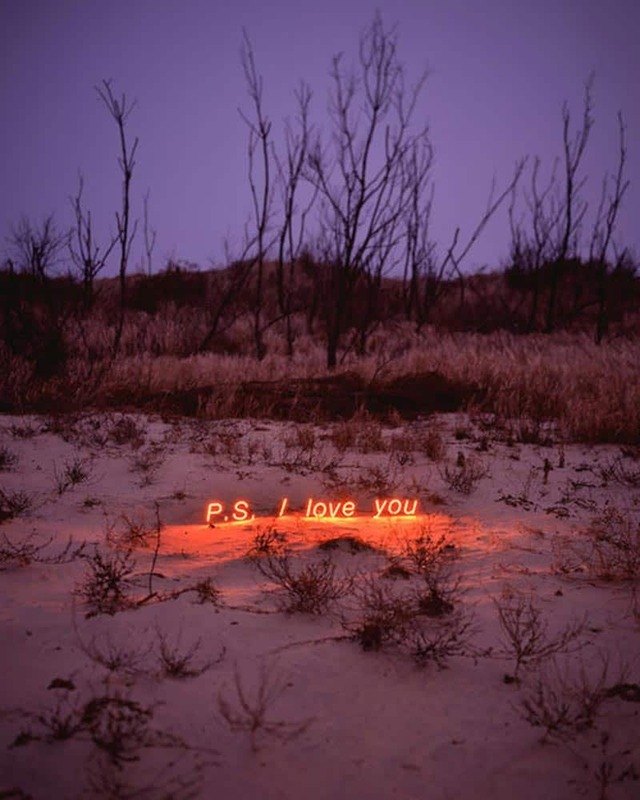 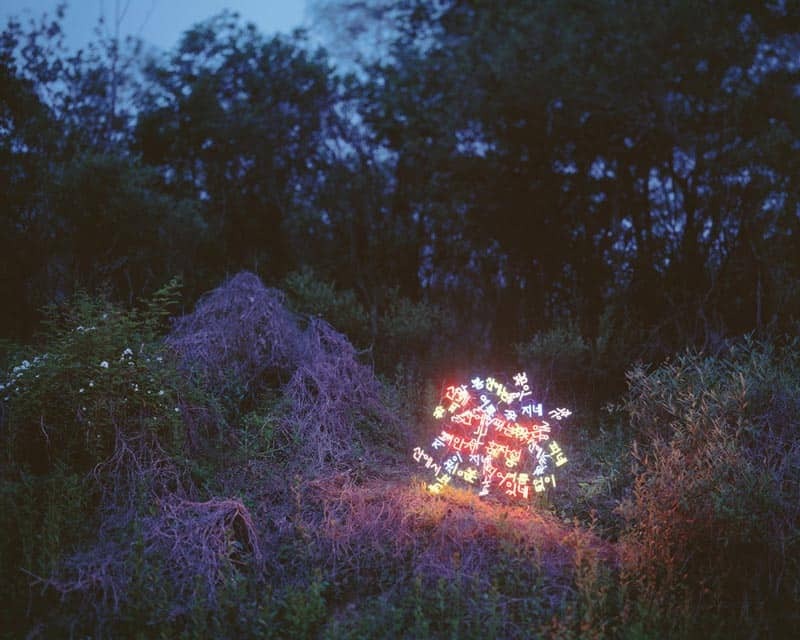 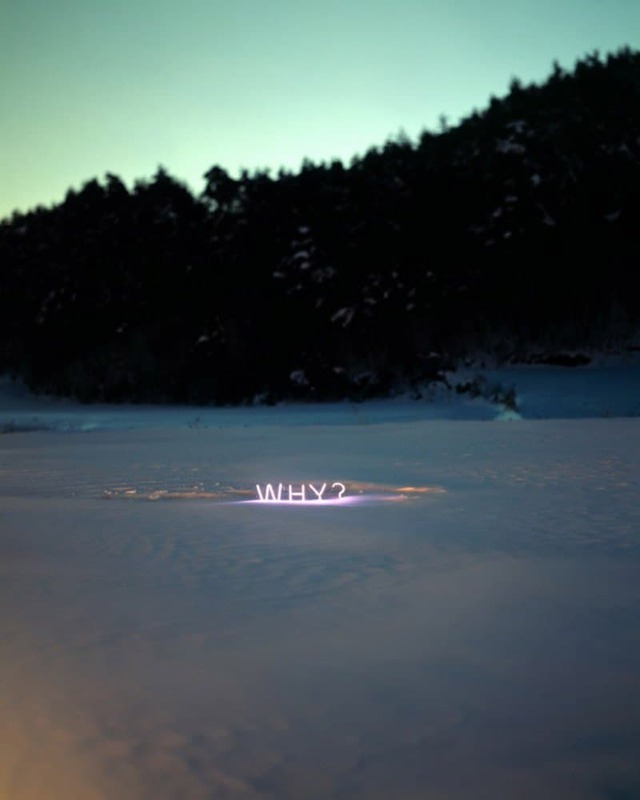 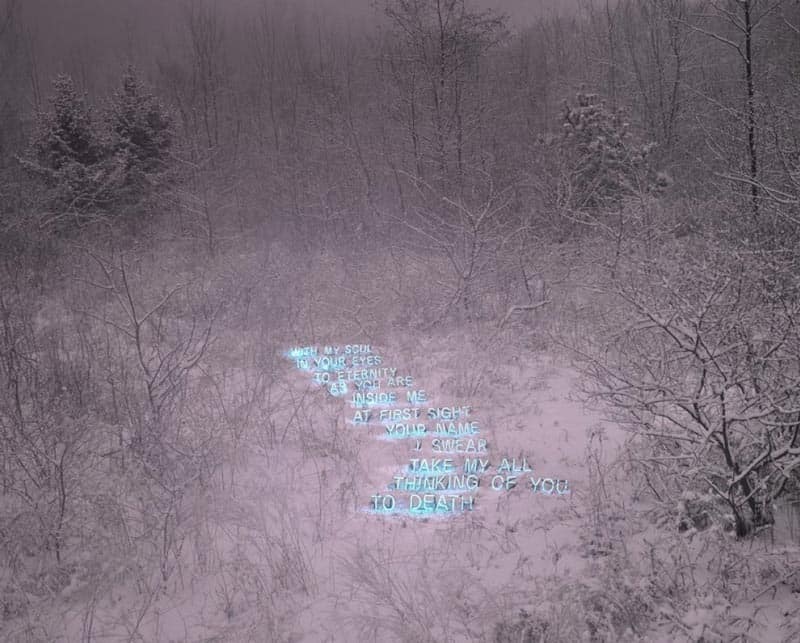 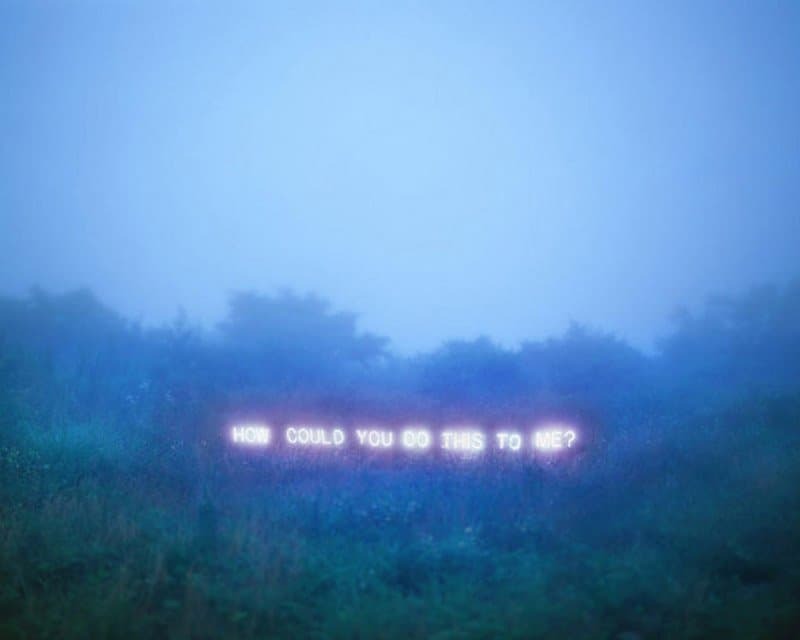 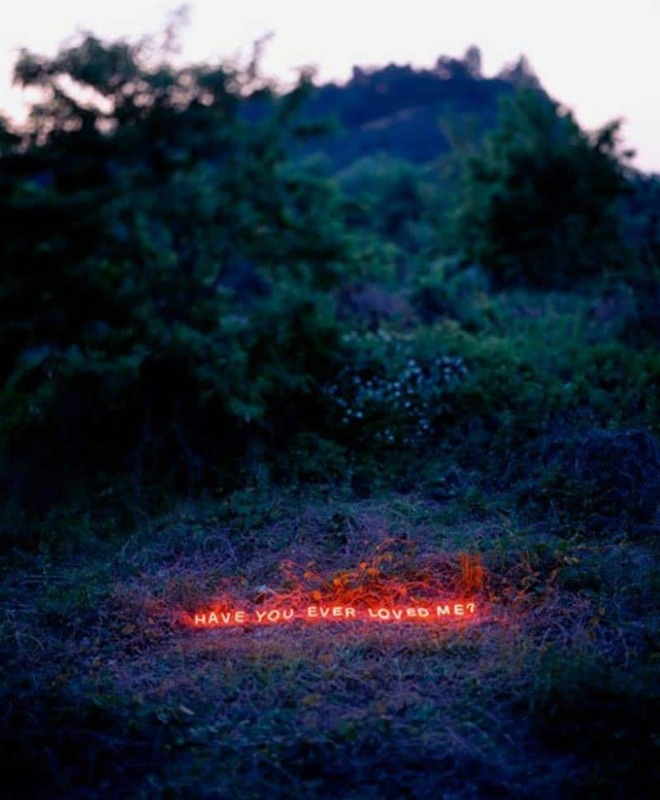 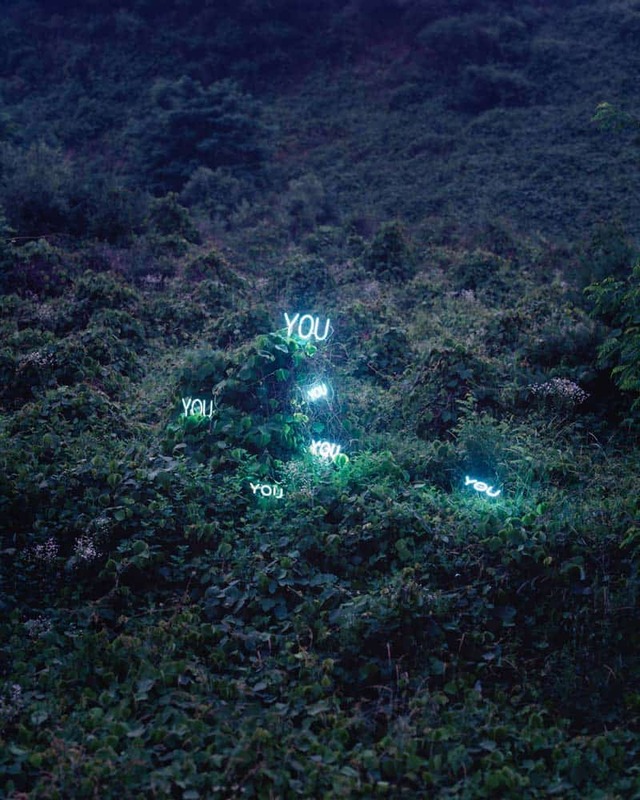 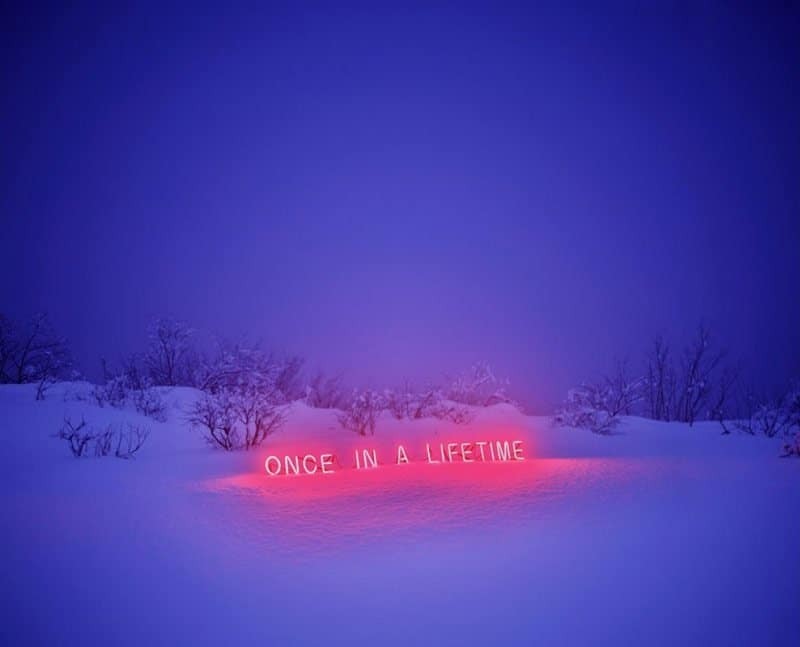 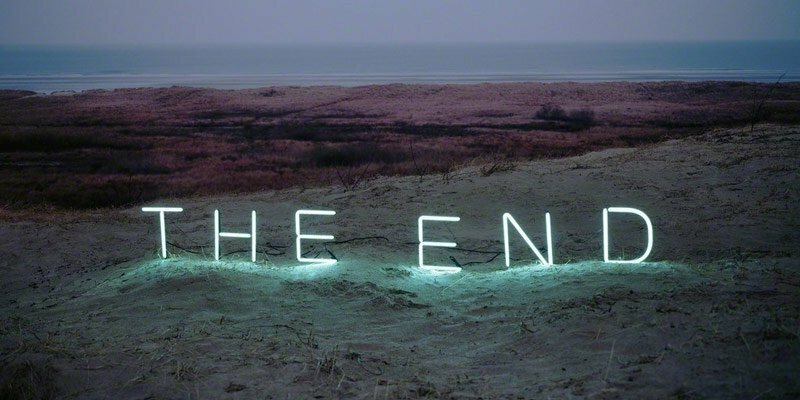 Jung Lee is a South Korean artist known for her series of “Day and Night” and “Aporia”, which feature neon texts and words from the two stories displayed in a moody countryside settings. 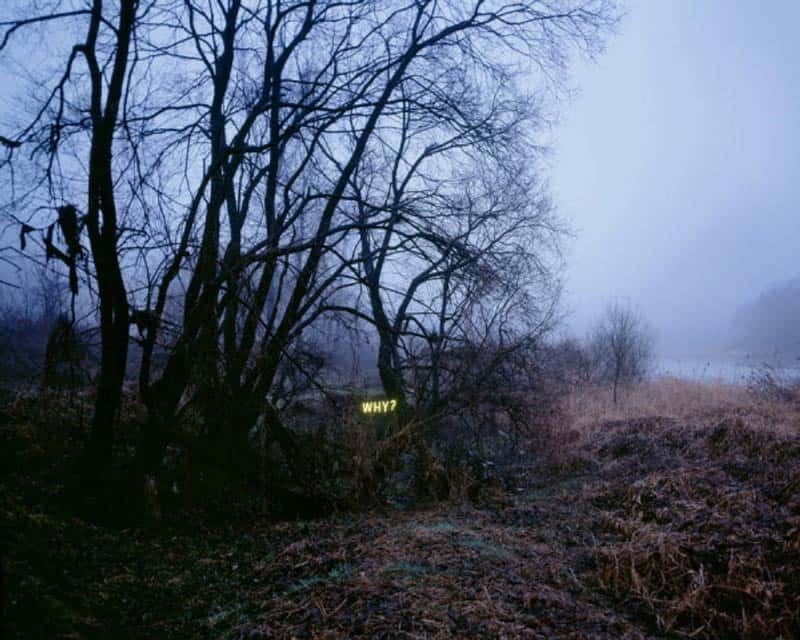 Lee’s constructed settings express emotional states with a sense of distance and bleakness that leaves much of the connection to the viewer to decide. 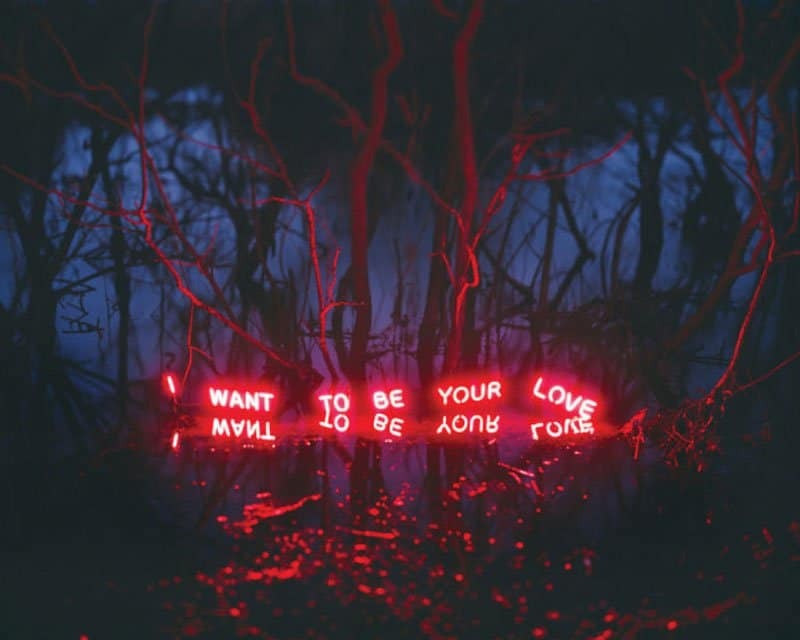 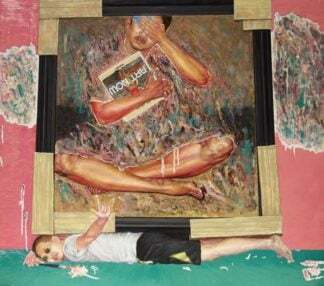 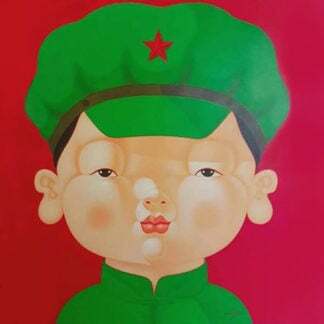 In her Aporia series, Lee was inspired by Roland Barthes’s A Lover’s Discourse, which tells the story of the incompetencies among people in love. 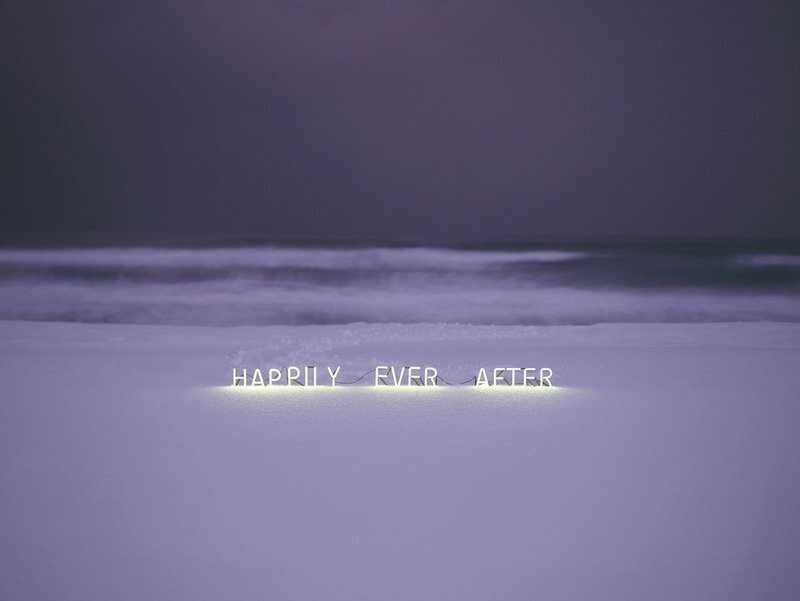 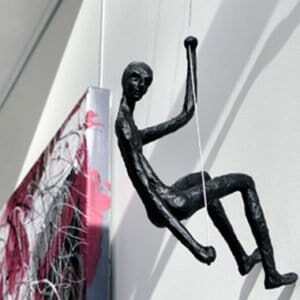 Lee expresses this through her use of empty phrases that underline the solitude and sorrow of modern people today. 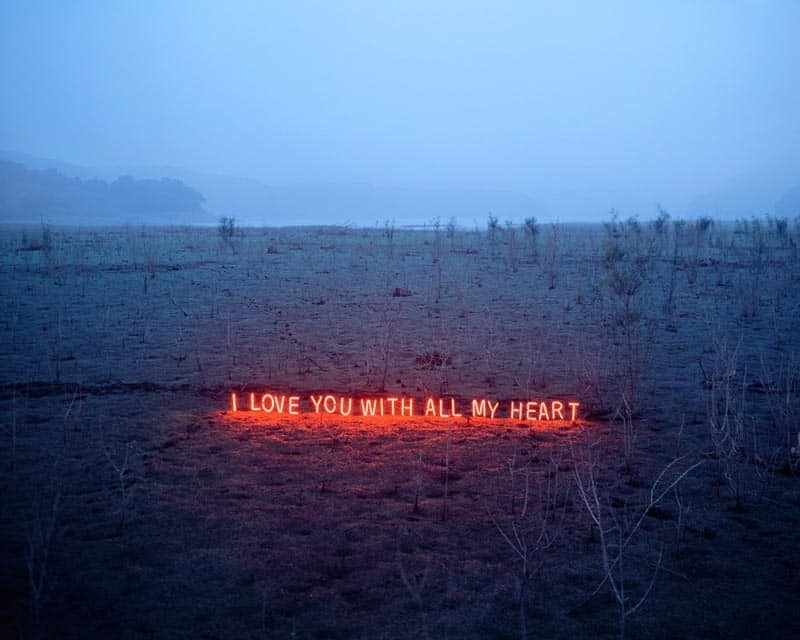 Meanwhile, in “Day and Night”, Lee focuses on god and love as two main references for her understanding of Dante Alighieri’s Divine Comedy, where the scholar talks of love and true faith leading you to heaven. 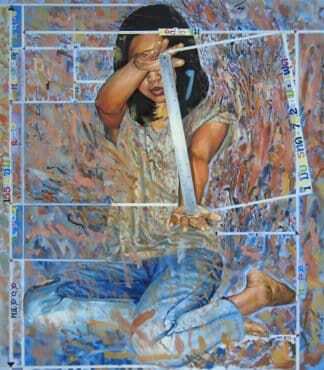 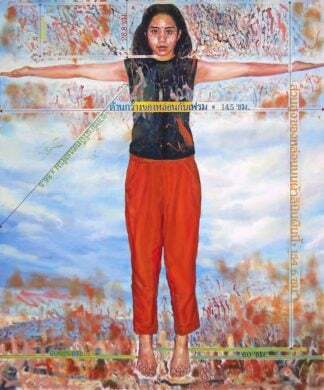 In this piece Lee uses a mix of “divine/religious” works to evoke the human need for salvation and redemption.